Translators and interpreters know all about being passionate. Most of us arrived in this industry because we were passionate about helping people communicate. Many of us also carry a passion for the industry itself. We get into debates over conditions, working practices and clients. In two words: we care. This “care” can and does translate into action. Translators and interpreters willingly donate their time, skills and money to helping charitable causes the world over. From refugees in the UK to Ebola patients in West Africa, there is hardly a crisis or cause that doesn’t need information to be passed from one language to another. Until fairly recently, the idea that translators and interpreters can and should lend a hand went unchallenged an unqualified. As long as the goal was non-commercial and the cause seemed legitimate, there was little discussion as to where the work might end up. Pro bono translators and interpreters took it on trust that they were doing their bit. All that has now changed. In discussions that have raged across blogs and forums, professionals have started asking big, hard and sometimes borderline aggressive questions about pro bono work. Clearing houses for such work, such as Translators Without Borders, now seem to be the subject of suspicion in some quarters. Increasingly, there is a desire to know who exactly benefits from the work, whether paying for the work might be a better option and to what extent local professionals might be losing out because of it. These are good and useful questions. There are very good arguments for transparency and accountability that apply across all pro bono and charitable work. Yet, it is undeniable that, since we have the resources to ask such questions, our perspectives are skewed. I doubt very much whether a refugee cares too much about the remuneration of the interpreter who works with them. For them, a listening ear, a truthful representation of their views and a chance to understand and be understood trump any economic debates. There is no doubt that we need to be transparent about how and when and why the efforts and resources of volunteers are used. In a current fundraiser I am involved with, which aims to raise money for anti-people trafficking charity the A21 Campaign by selling multilingual t-shirts, everything about the campaign from the people involved to the precise donation per t-shirt is online. The problem with this, of course, is that the more that is online, the more decisions are open to criticism. A similar dynamic can be at work among new entrants to translation and interpreting who list all their volunteer work on their CV. While there are very good reasons for doing this, it is not unthinkable that certain clients may take exception to the precise causes chosen. Some electronics manufacturers might take a dim view of work for civil liberties or pro-privacy groups. Other potential clients might feel uneasy at evidence of campaigning for certain causes. While new translators and interpreters have always been advised to keep politics off their CVs, pro bono work can help it resurface. Perhaps the solution is to be a bit more realistic. Pro bono work will always be important, both for those who donate their time and those whose lives are changed by it. The necessary transparency that goes with it, however, will always open up the opportunity for criticism. But then, as Andrew Morris points out, standing out and being different has always been a better business strategy than following the crowd and making no waves at all. Maybe the emphasis should be on the opportunities that pro bono work can bring and the lives it can change, over the people who might disagree with our decision to do it. ‘What is the future of the past?’ asked Christina Cameron, a prominent researcher within heritage studies, and she was not the only researcher to ponder on this question. An increased awareness of the richness of past inheritance is not directly linked with recipes to take these forward to be enjoyed by the next generation and to counteract globalisation backlash. Moving the discussion beyond internationally recognised ‘items’, with the trademark of ‘Outstanding Universal Value’, towards smaller communities, the question becomes even more intricate. It is in this precise small area dealing with the heritage of small-scale, minority communities that Cristina Clopot’s research fits in. And the question mentioned at the beginning of the article is central to Cristina’s PhD project centred on Russian Old Believers in Romania. Old Believers have migrated from Russia in the XVIIth century to escape religious persecutions. They opposed the religious transformations of the Russian Orthodox Church insisting on keeping their centuries-old belief. 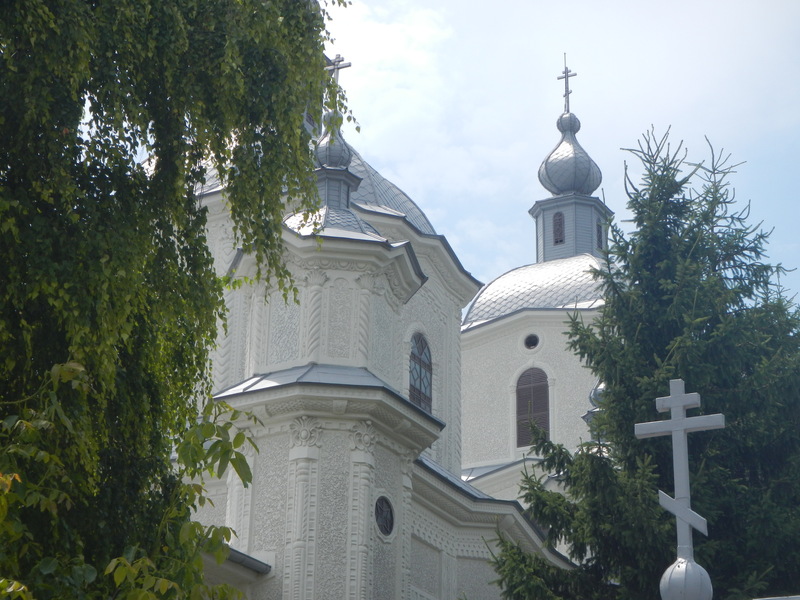 Old Believers communities exist throughout the world (in places such as Canada, the U.S., New Zealand, Lithuania, Latvia, Estonia), however, Cristina’s research is focused on Romania. 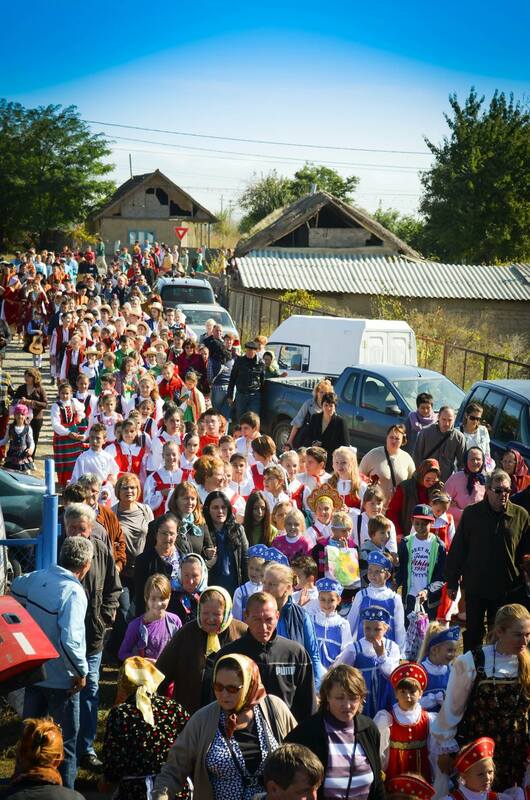 A small community of about 23,000 people, the Old Believers (Lipovans as they are called in Romania and Moldova) represent one of the 18 officially recognized ethnic groups within the country. In a country marked by increased globalisation and rapid transformations in the post-socialist period this community has managed to preserve its rich cultural heritage. Cristina’s research thus engages with Lipovan heritage, both tangible and intangible. The two types of heritage are in a ‘symbiotic relationship’, as an UNESCO representative pointed out. Themes such as continuity and innovation, authenticity or sustainability will be explored within this project through ethnographic methods. The research project is supervised by Prof. Máiréad Nic Craith, Chair of European Culture and Heritage and Prof. Ullrich Kockel, Professor of Culture and Economy, and fieldwork is carried with the help of Estella Cranziani Post-Graduate Bursary for Research. 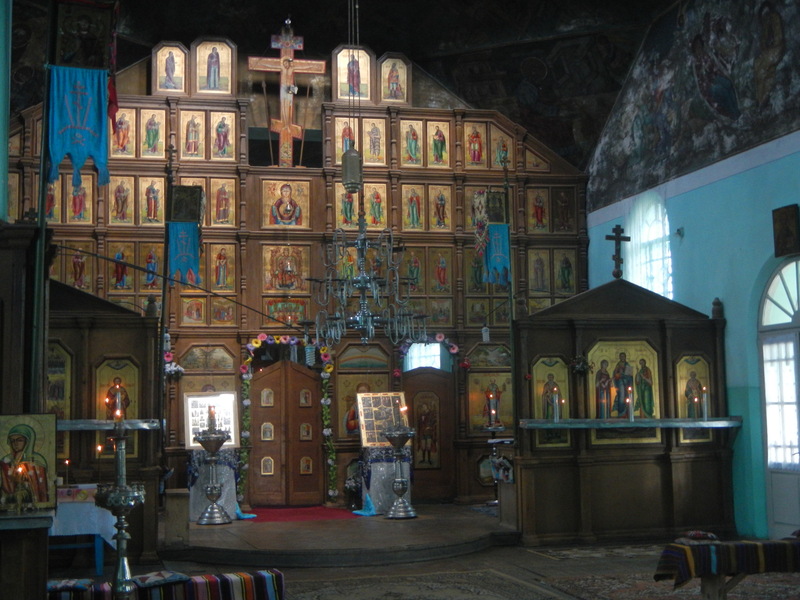 Part of Old Believers’ tangible heritage, churches, with arched domes and 8 cornered crosses exist in different areas of Romania, predominating however, in the eastern side of the country, where large communities of Lipovans reside. Old Belief is a form of Orthodoxy, close to the Greek form of Orthodoxy, yet with essential differences: e.g. different way of crossing, or the use of Slavonic. Religion is still important for the community today as reflected by the numerous icons encountered in diverse houses and locations I have visited in Romania. Clothing is another distinct element of their heritage. Once worn every day, traditional dressing is now mostly seen in religious services. The shirt (‘rubashka’) tied with a braid (‘pois’) or the colourful long skirts worn by women are part of the specific landscape in an Old Believer community. Apart from crafts related to clothing, boats or house building, iconography is another axial craft within the community. Icons play a central role for the practice of Orthodoxy, acting as messengers between believers and the ‘divine prototype’ they represent. Lipovans have carried this craft from Russia with them and have passed it on from generation to generation. ‘What is the future of the past?’ remains thus an open question for this community and an interesting challenge to answer within this research project. The RADAR project has officially started! Funded by the European Commission Directorate General for Justice, RADAR (RADAR – Regulating AntiDiscrimination and AntiRacism – JUST/2013/FRAC/AG/6271) involves 9 partners including Heriot-Watt and it will be conducted over 24 months (November 2014 – October 2016). The aim is to provide law enforcement officials and legal professionals with the necessary tools to facilitate the identification of “racially motivated” hate communication. In European societies, increasingly reshaped by migration, the fight against racism and xenophobia is a key challenge for democracy and civil life. Despite anti-discrimination legislation that is in force in EU Member States, there is still a fundamental problem in identifying the different forms of racism and xenophobia. These may consist of physical attacks against people or of hate speech – ‘racial’ and xenophobic discourses “which spread, incite, promote or justify racial hatred, xenophobia, anti-Semitism or other forms of hatred based on intolerance, including: intolerance expressed by aggressive nationalism and ethnocentrism, discrimination and hostility against minorities, migrants and people of immigrant origin” (Council of Europe’s Committee of Ministers” Recommendation 97(20)). However, it is not always easy to distinguish between, non-‘racial’ and ‘racial’ violence. Even though it is easier to prosecute cases of physical offences against people, it is more difficult – for judges, politicians and the public – to identify when there is xenophobia behind a physical offence, because it has to be interpreted within the context in which it has taken place. This interpretative work allows us to define such actions in terms of hate crime offences. Often ‘racial’ hate crimes are not recognised as such, and this leads to an underestimation of the phenomenon. Treating crimes that are motivated by ‘racial’ hatred as non-‘racial’ crimes leads to the violation of fundamental human rights. It is therefore essential that law enforcing and legal authorities, along with journalists and politicians, have tools for correctly identifying the motivation that underlies such a criminal act. A hate crime is never an isolated act; it is usually triggered and fostered by hate speech, consisting of discourses that express disdain, hatred, prejudice, etc. Such discourses are performed not only in direct face-to-face communication through public and private conversations, but they also take place online, in political discourses, as well as in other institutional contexts. It has to be stressed that not only hate speech in the sense of verbal messages leads to hate crimes, but this is inspired also by other hate-oriented communication practices based on other communication levels, such as voice (paraverbal message), body-language (non-verbal message), images (visual message). Finally, the racist discourse often does not simply assume the forms of explicit hatred, prejudice and disdain, but it takes the form of an apparently benevolent recognition of the differences that, however, presupposes a stereotypisation of an individual’s cultural and social identity. It seems like a respectful recognition of differences, but it turns into stereotypes and prejudices that become labels and stigmas for the individuals. Therefore, the overall aim of this project is to provide law enforcement officials and legal professionals with the necessary tools, mainly through open training activities, aimed at facilitating the identification of ‘racial’ motivated hate communication. For this purpose, a communication-based training concept is worked out, on the one side, for professionals and actual or potential hate-crime victims (national level) and, on the other side, for trainers (international level). Further learning resources and facilities are provided to offer online learning events. Finally the project aims at producing a publication with concrete tools, recommendations and best practice examples to facilitate anti-discrimination and anti-racist actions and regulations. Watch this space for the project website and further details. For more information, contact Katerina Strani in LINCS. Does culture make any money? We are sitting in an office in the Latvian Academy of Culture: the International Editor of Dienas bizness, the business section of Latvia’s leading daily broadsheet, and I, Professor of Culture and Economy at Heriot-Watt, having just delivered a keynote at the Academy’s Cultural Crossroads conference as part of Riga’s year as European City of Culture. If we think of it merely in terms of the cultural industries that since the mid-1980s have been seen as having replaced the money-spinning manufacturing industries of an earlier age, then it depends indeed on which part of the cultural industries we are looking at: some are lucrative cash cows, others are more like bottomless pits. But that is not the best way of looking at culture and economy, and may even lead to entirely wrong conclusions. 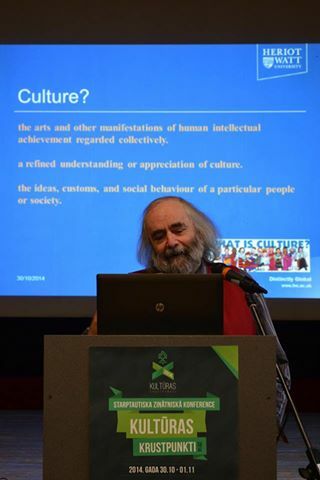 If culture is understood more broadly in what used to be anthropological terms (before ‘culture’ was ousted from much of anthropology in favour of ‘society’), then the utilisation of culture as a resource for development – which had been the topic of my keynote – can be realised as bringing significant benefits to society. However, many of these are not easily captured in monetary terms. There are examples where investment in cultural activities leads to a step change in local culture, understood more broadly, that raises the quality of life for all concerned. Take Derry-Londonderry’s experience as UK City of Culture 2013, for example. It is early days yet, but all indications are that, whatever the immediate financial outcome, the city is a better place as a result of the year’s activities. Riga and Latvia, with their own ethnic tensions, take more than a passing interest in such conjunctions of culture and economy.